Gloss-lipped sun, over the road that carries morning back to Italy. I love going to a place that’s in my blood. The rays lay down, everyone else moving with me is pale and excited. Once in the air, we fly along with the barrier islands of the states before heading eastward. Once in Rome we enter the city through one of the fourteen gates, and bow down before the sunken oval entrance. A mosaic of Jesus greets us, and then we are allowed to sleep. It isn’t long before we need to draw the Colosseum. The historic mass that takes up the end of a city block. The figure that is recalled so easily in the mind, stands before me in a way that pushes back. A new building is proposed for downtown Wheeling, WV and it leaves the architect’s desk today. 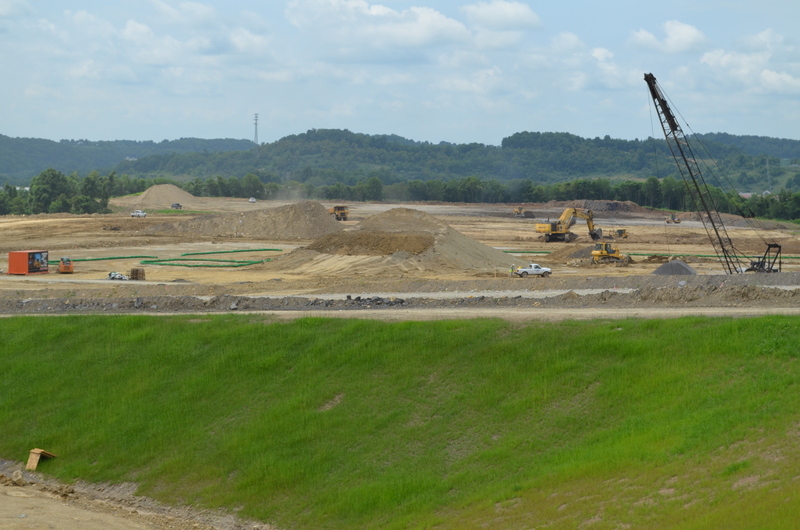 Read about Mills Group‘s involvement as the architect, and all of the consultants it took to prepare documents in the ground breaking coverage of The Intelligencer. It’s always difficult to finish. It’s even more difficult to finish a project as large (70,000 sf), out of masonry and through two winters in a little over a year! The Grand Opening party is scheduled for June, but the hotel will open its doors before that. The contractors who have seen that every joint is caulked, ever louver installed, and that each fan is drawing the required air, have been a blessing to the architect. I am thankful that each member of the team cared as much about providing the owners and the Marriott brand with a hotel that is of the utmost quality. Not only were things finished the right way, but they were finished the best way. Thank you, thank you. Come and visit the hotel for yourself soon! 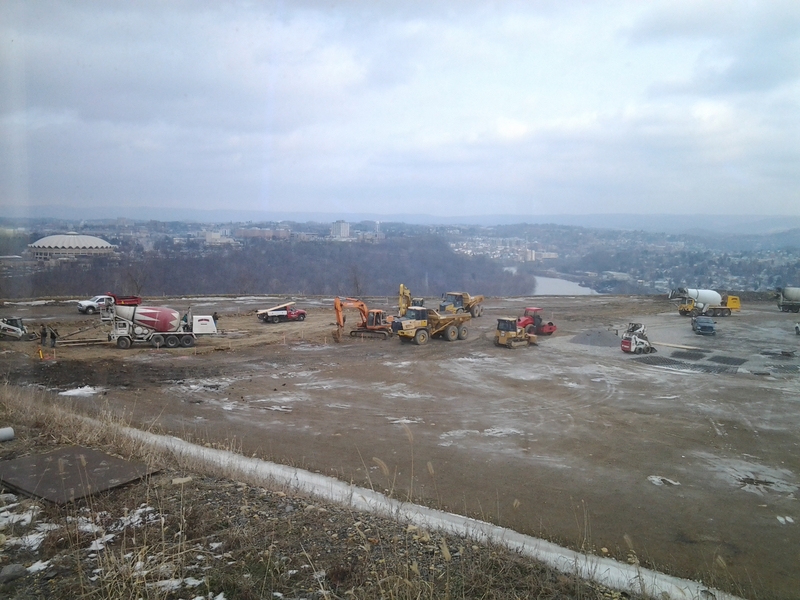 …And welcome Morgantown’s new Marriott. The project that has been on my desk for about two years is going to be finished in the next couple of months. 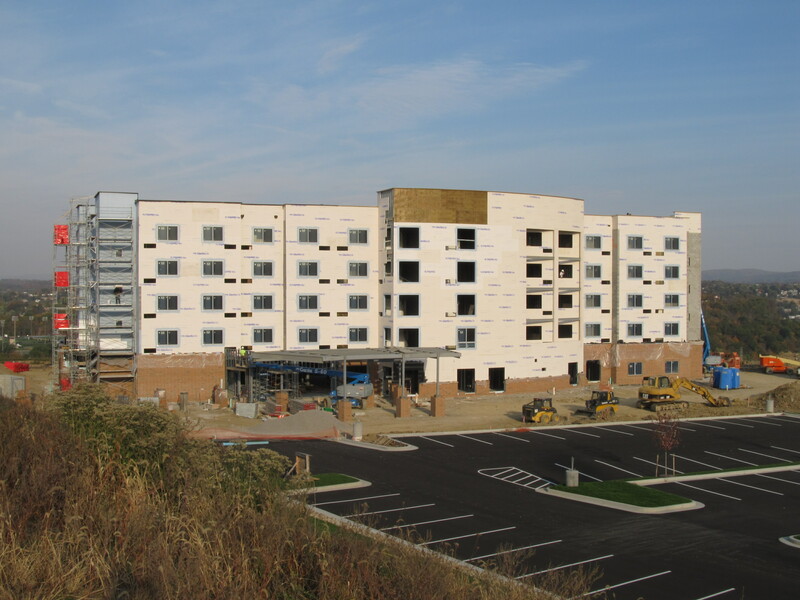 I visited the site this week and enjoyed recognizing all of the finishing details as the guestrooms near completion from the fifth floor down. The fire pit in the back has been bricked awaiting the surrounding patio to be poured in the next week. The landscaping is in, as this week provided sunshine and some warmer temperatures. The EIFS contractors are working beneath a heated tent to finish the rear of the building, offering a finished face to the view. The flags will soon be hoisted on the recently installed poles, celebrating our nation, WVU and the adjacent Black Bears Baseball team. I can’t wait! 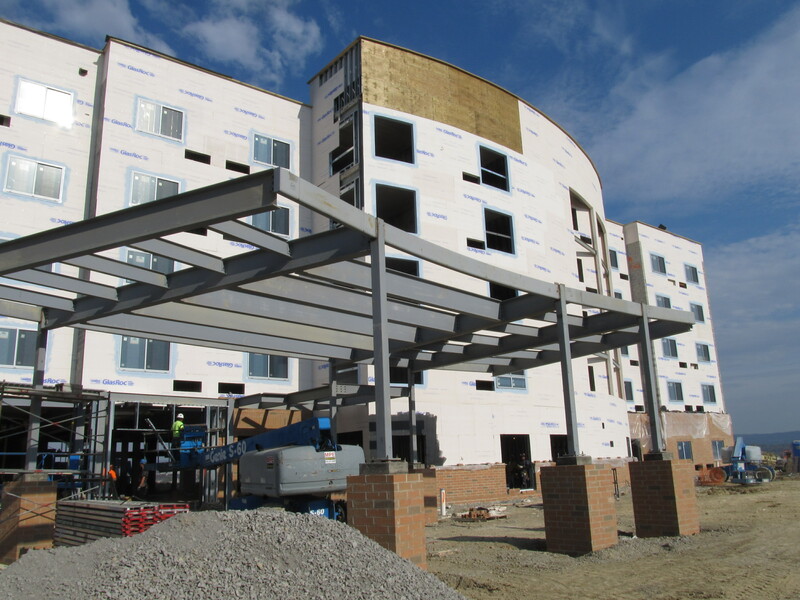 Foundations began less than a year ago for the Morgantown Courtyard by Marriott, and now a few months before opening, the building is standing with a real presence. 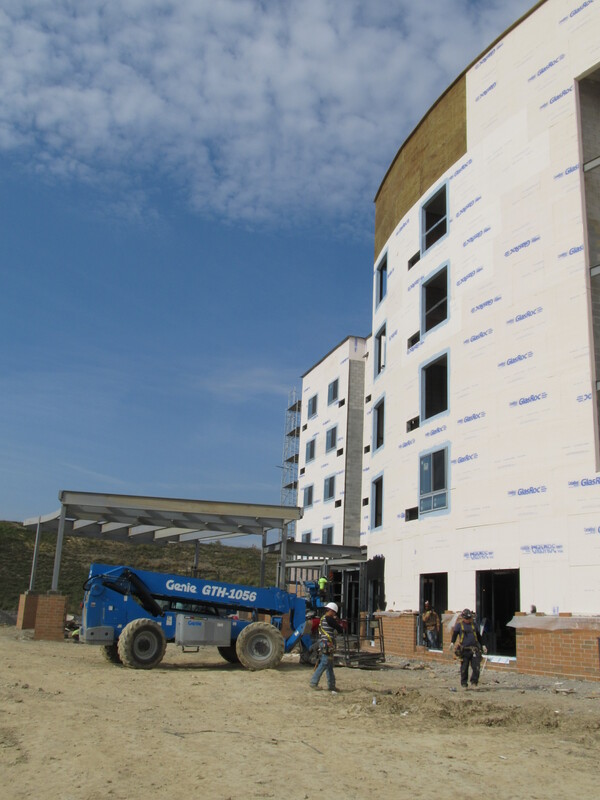 Mills Group made it on OldCastle’s blog recently for this project in Morgantown! Check it out here. December has been unseasonably warm. As of today concrete and asphalt surround the building awaiting the winter opening. Winter sod will be installed soon as the finishing touches from floor five down are complete. At the start of December I walked the building with my colleague and we marveled as we watched sixty drywall finishers, some on stilts, move through level three to mud, sand and paint the drywall. The top two floors look like white boxes awaiting their finishes. Soon the Marriott Sign will arrive, and the building will have a name to the public. The collage of photos below were taken by Waller Construction.